In accordance with United States Code Title 36, Chapter 1, Section 129, the President of the United States is requested to issue a proclamation (per Flag Code section 7(m)) for the United States Flag to be displayed at half-staff for the entire day on National Pearl Harbor Remembrance Day, Saturday, December 7.When issued, the proclamation will be found on the White House WebPages @ http://www.whitehouse.gov/briefing-room/presidential-actions. Veteran designation is on track for May 2014Secretary of State Ruth Johnson said Michigan is on track to begin issuing a veterans designation on driver's licenses and state ID cards in May 2014 for the state's nearly 700,000 veterans.To obtain the designation when it becomes available, veterans will be required to provide proof of past active military service with honorable or general discharge.Johnson said the designation will make it easier for veterans to obtain the services and benefits they have earned and deserve. Dear Legion Family Members and Friends,As veterans, we have a special bond regardless of when we served. While there are millions of us scattered around this great nation of ours, we represent a tiny percentage of America's population.To many people, Veterans Day is a day off work or school. To some retailers, this day of honor becomes little more than a prop in a patriotic-themed advertisement. 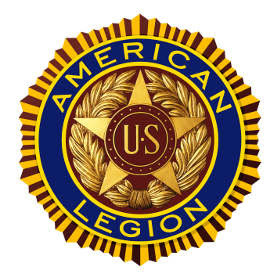 As members of The American Legion - America's Veterans Service Organization - it is up to us to deliver the messages of service, sacrifice and patriotism, especially on and around Nov. 11. I hope that you will take time out of your busy lives this Veterans Day weekend to help honor all veterans and the families that support them. Many posts and communities have Veterans Day parades or similar events. The Hollywood post, for example, is hosting a nationwide telethonon Sunday night. These are great opportunities to raise awareness of the role that veterans have played.